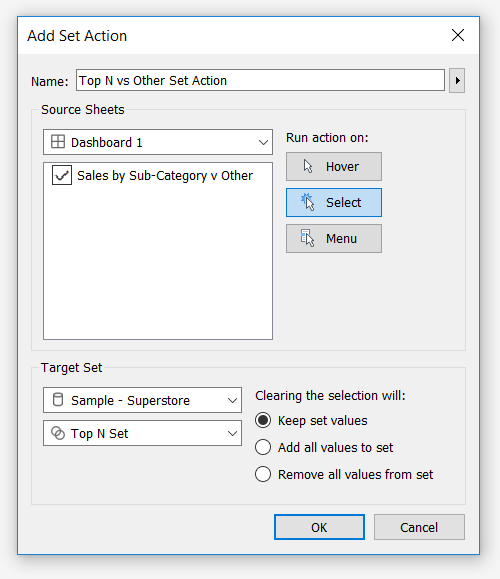 Tableau set actions are the latest(2018.3) type of section in the dashboards which unlocks the recent user experiences, by allowing the user to dynamically control which dimensions parameters we have to include in a data set. 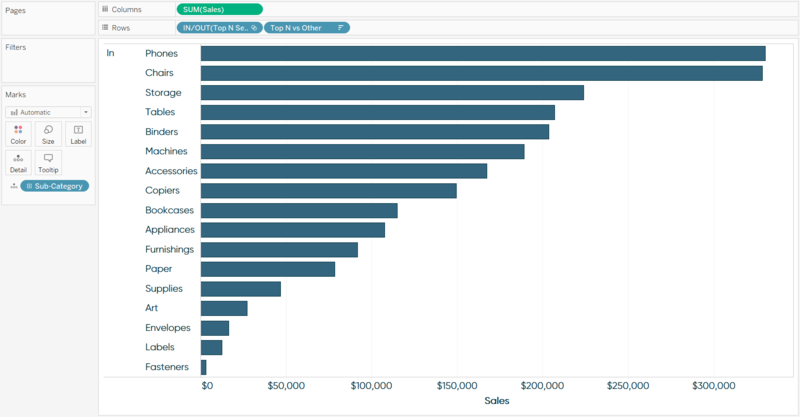 In this post, I will use the set actions to allow my end user to opt the top N by merely clicking on the dimensions parameters on a chart or a graph. Before using your set actions, we must have a set. There are specific steps that the user has to follow to impart the user experience. 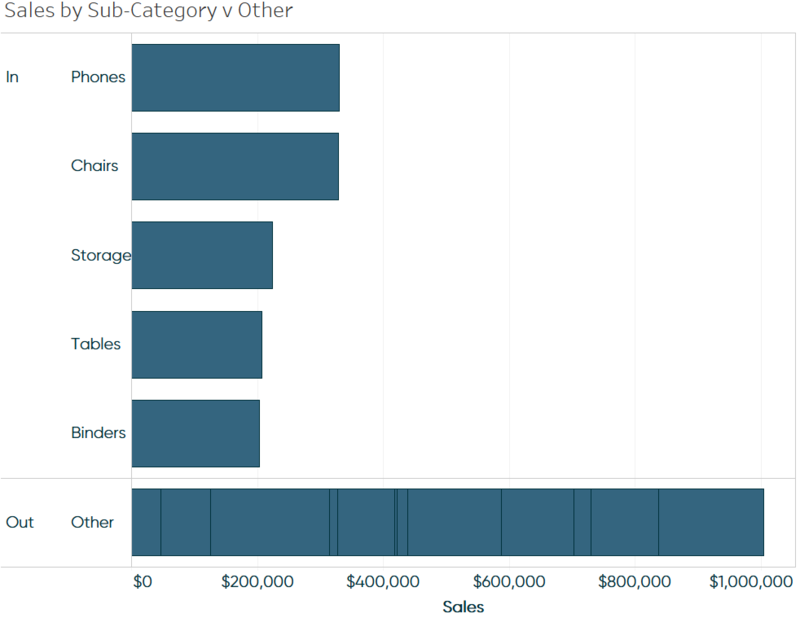 1) The initial step is to create a complete set out of the Sub-Category dimension. The dimensions parameters earlier chosen will not be taken into consideration, as the user will replace the selections made in the set action. 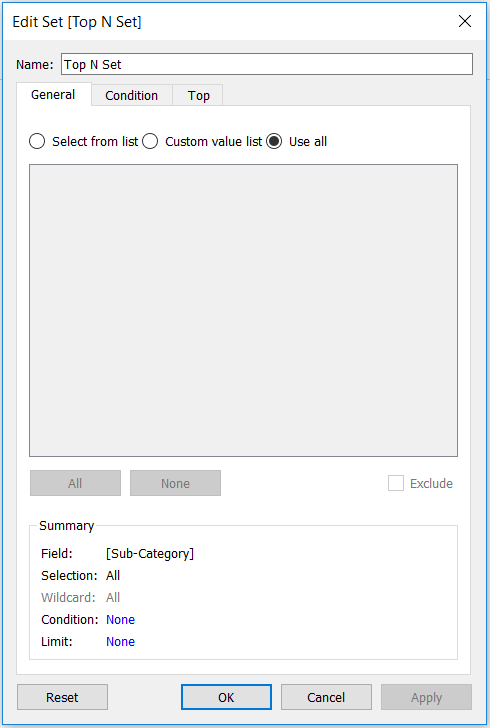 2) The next step is to place all those selected Sub-Category members in the set so that we can group each and everything into one single set. To generate its working, I have to place the recent created Top N Set on the row section. 4) The fourth step is to replace the prior sub-category dimension on the row section with the latter created calculated field. 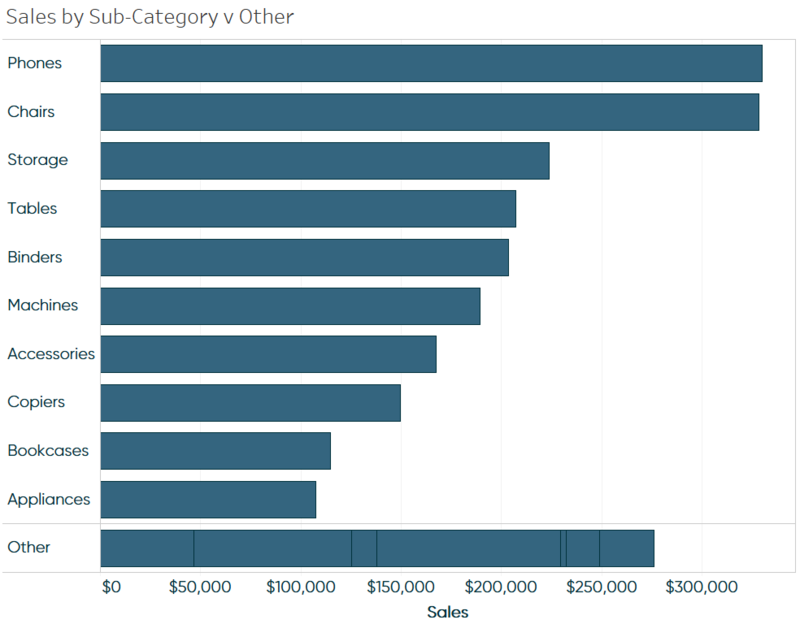 When we create the Sub- Category in the set, the names of that Sub- Category will be displayed on the chart. If it is not displayed, then it will be grouped into other bar called "Other." 5) The dimensions we chose to generate the set must be part of the view. Since we have replaced the sub-category dimension, we can go back to that view by placing the prior Sub- Category dimension on the Details Mask card. 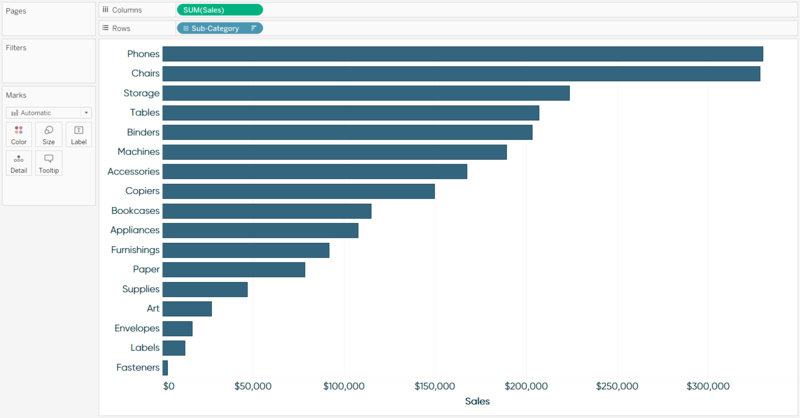 dashboards --> action --> add --> "Change Set Values.." (new feature available in Tableau 2018.3). Below is a set action which we will create. 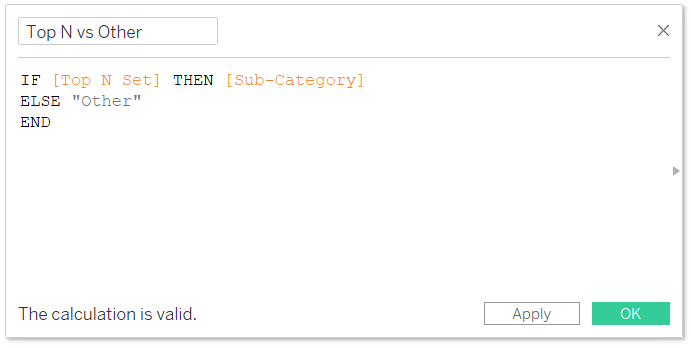 a) when the dimension parameter is in the set, we will see the name of the sub-category. b) when the dimension parameter is not in the set, it will get grouped into "Other." Here is my final view looks. This technique has actually improved the focus and helps illustrate the intensity of Top N and diminished the cognitive load on my end- thus helping to make the analysis more effective. It was just an insight to explain the usage of Data. If you need to understand the complete picture of the data, and to get to know the complete working of Tableau, enroll yourself for Tableau Training program at PST Analytics, Gurgaon. We have super knowledgeable professional tutors who will train you in the field of Analytics, Data Science, Machine Learning, Artificial Intelligence, and Data Visualization. The trainers themselves are associated in their respective domain and are globally certified.